About time to kick this thread off. Hope the fires this year haven't caused any issue on the trail. Well after 5 years I think that this year I will be back to attempt another ITT. Just have to decide on whether to go NOBO or SOBO. I'm hoping Koko Claims isn't part of the route, from what I saw/read about it it doesn't seem like fun. 3 hours of hiking your bike isn't really bike racing....it should be a sport of it's own! I'm leaning toward doing it again this year. I raced in 2015 but would like to tour this year -- shooting for 4 weeks or more, leaving with the racers in Banff. The next 9 months are going to fly by. Cannot wait to give the race another go. What is the start date this year? That is not the usual 'Unofficial starters list' sign up form. The traditional list is a different link. Disappointed to see an additional one created by David. Pete, the TD grand depart is always 2nd Friday in June. The usual 'unofficial' TD start list spreadsheet (set up in recent years for / by Cordillera folks) will be made available by the traditional Winter Solstice kick-off date--the same date riders are invited to submit Letters of Intent to tourdivide@gmail.com. The sheet is the usual "unofficial" start list. It was just posted by me and not Chris. Chris Bennett (the "Cordillera folks", who posted this in the past few years) thanked me and I've been involved in the sheet in the past with Chris. This year I did the sheet, last couple of years Megan, before that was Chris and before that Dennis. Chris is working on editing the Cordillera (past 8 volumes available on Lulu.com) and it didn't cross my mind that it needed to be posted by him or that you needed to be involved for the first time this year. It is an unofficial list for the riders and you have never in the past been involved or even posted on the subject which is why it was posted in the same way as prior years. Chris is catching a long distance flight now, but do you want him to repost it himself, or are you OK having considered the above? For '17 race it was posted on 30th Oct 16, for '13 race it was posted 1st Aug 2012 - seemed a good idea to have it on the first page of the thread on bikepacking.net - on FB it doesn't matter, but the Forum is date stamp sorted. 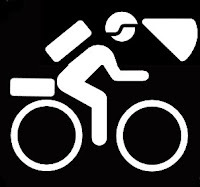 I added some links to TD page, Trackleaders, FB, bikepacking.net - thought that would be a nice touch, but deleted them now. I also added the text on where the Cordillera is available as contributions were very low this year and we want to raise awareness. If there is something wrong with the form it can of course be amended, but it is the same as previous years with a couple more questions on tyre size, bike set up (full sus/HT/rigid) and front fork plus Strava name. BTW: I have previously finished the TD (not "attempted" it) - I'm proud of it and rode as hard as I could the whole way. This SO much reminds me of the story of an upstart rider who got under the collar of Mike Curiak and Pete Basinger several years ago when they were administering the Great Divide Race! Ahhhhhhh!!! Oh well, I'll just have to bear it! At least it isn't a complete unknown I can be mentally prepared. Anybody know if the new ACA section north of Banff is going to be added on? What I've heard so far is that the Grand Depart is still in Banff. Word is that for the foreseeable future Grand Depart will be Banff due to Jasper being too small to handle 200 rowdy bikers. I don't see why it would be yet... the ACA hasn't added it to their maps. They are planning on it, but it hasn't happened yet. Light weight for all the climbing. Durable for all the extremely rough terrain on parts of the route. Simple, since bike shops are few and far between. The durability has me worried a bit also. All the gravel/adventure bikes look like they can take a serious beating in the promotional videos, but taking beatings over 2700 miles is another thing. Don't take the promo videos too seriously. You will not be taking jumps off cliffs, but you WILL be vibrated, jostled, covered in mud, fording creeks, hitting unexpected rocks and potholes, etc., almost continually for 2800 miles. I had an unsuccessful 2014 run. As you say, it isn't terrible technical (at all) no jumps or drops. However, I came home with a cracked 2014 S-Works Epic. Have no idea when or where it happened. I suppose it could have happened on the bikes trip home?